NEJ Golddust Alice (1993): Is a red chestnut 15HH mare with considerable time as a saddle lesson horse, for our beginner grandchildren, and others, in various sized rings and paddocks; and open yard. Looks good for a taller person, & still nice looking for shorter legged individual. Alice also has had a lot of ground driving experience; she has been used to train ground driving as a pair, including by young beginner grandchildren. Alice has had three nice foals for us on lease, two of which are sold. Easy to breed. Caring, but not obsessive mother. All foals imprinted. Good for all handling and care. Trailers well. Has been on trail rides in the past. Stalls or open pasture. 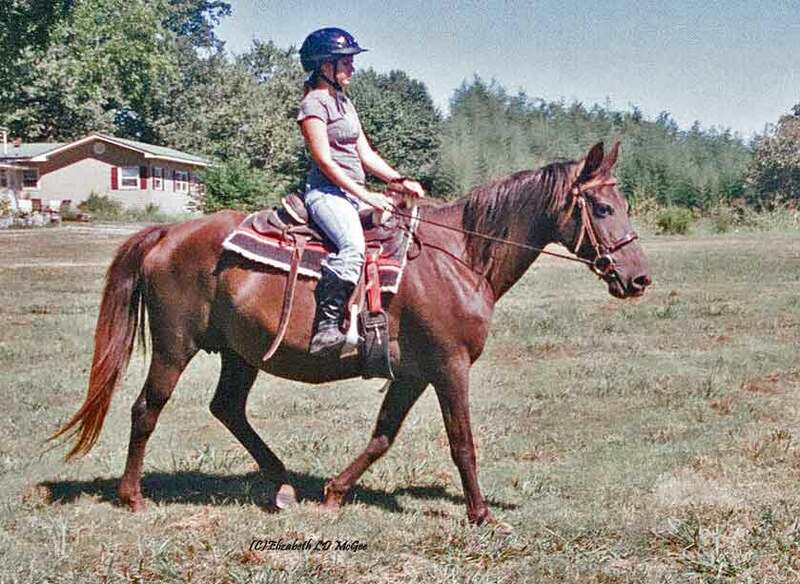 We have her on broodmare lease…and since John’s injury, we will not be breeding for the foreseeable future…and none of us are riding much anymore…two of the “grands” are not around…and there are other “sports” plus allergies! And we drive more than ride. Alice has a 2010 Red Chestnut Gelding, Sleipnir Resonance (Sleipnir Echo’s Finale) also available For Sale. Alice’s Full sister, NEJ Golddust Emma, a 1996 Black broodmare is also available For Sale. We also have her on broodmare lease, and she is for sale. Emma has had six foals for us. We have three of them For Sale: a 2006 Bay gelding, 2009 Black mare, and a 2012 Black filly. See separate postings. She is available with either as a companion…or as a package of all three. 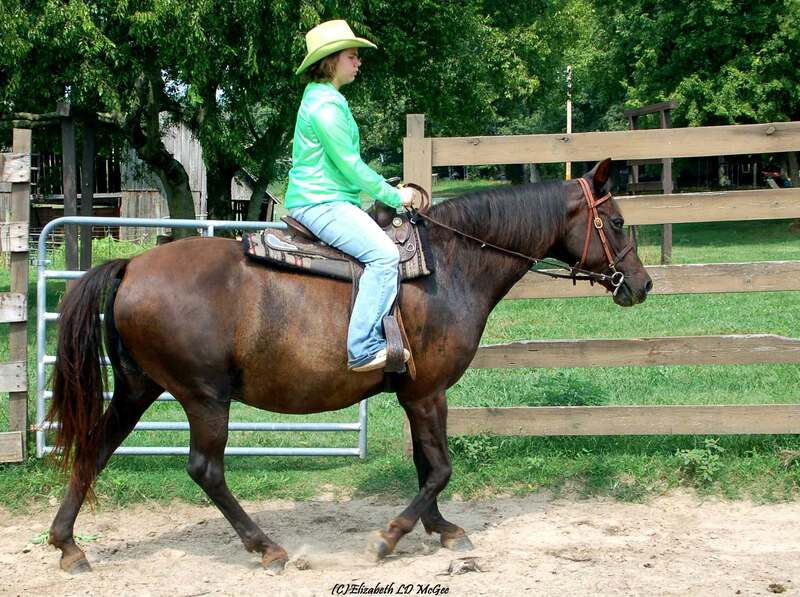 This entry was posted in American Morgan Horse Association, Black Mare, Coat colors, Current Members of the Herd For Sale, Delano Tennessee U. S. A., Family Horses, generation - family farm, height measurements, Mares, Morgan Horse, morgan horse farm, Morgan Horse versatility, Pedigrees, Photos, Red Chestnut Mares and geldings, SouthEast and tagged black mare, Broodmares, calm temperament, Chestnut Geldings, Coat colors, family horses, Foals, Geldings, morgan horse association, Morgan Horses, Names, negative coggins, outdoors, paddocks. Bookmark the permalink.